A few weeks ago I was put in the unusual position of photographing a photographer. I’m pretty sure I’ve never done that before, and I have to admit that when I arrived at the assignment I was feeling a bit self-conscious. However, my subject turned out to be a totally down-to-earth, cool guy and besides, does a completely different kind of photography than me—“digiscoping,” something I wasn’t aware of until this gig. 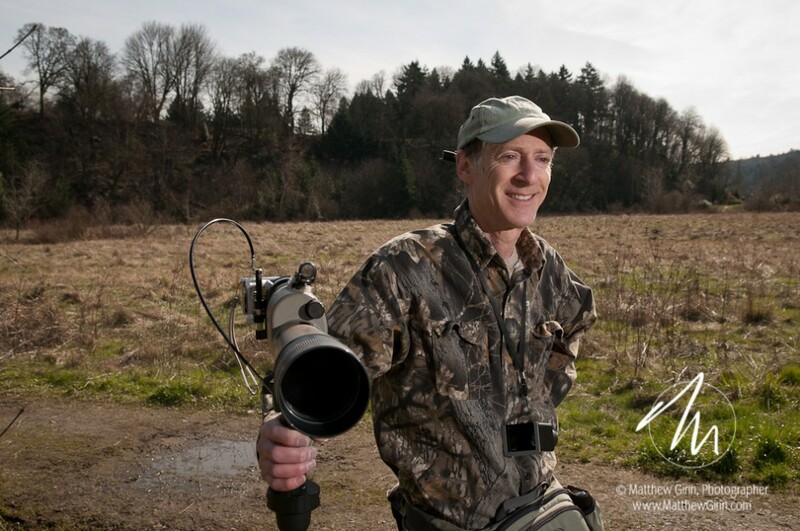 Steve Berliner has been birding for many years, and started photographing birds a couple decades ago. He and his images have won several international awards, such as the North America Swarovski Digiscoper of the Year in 2009. 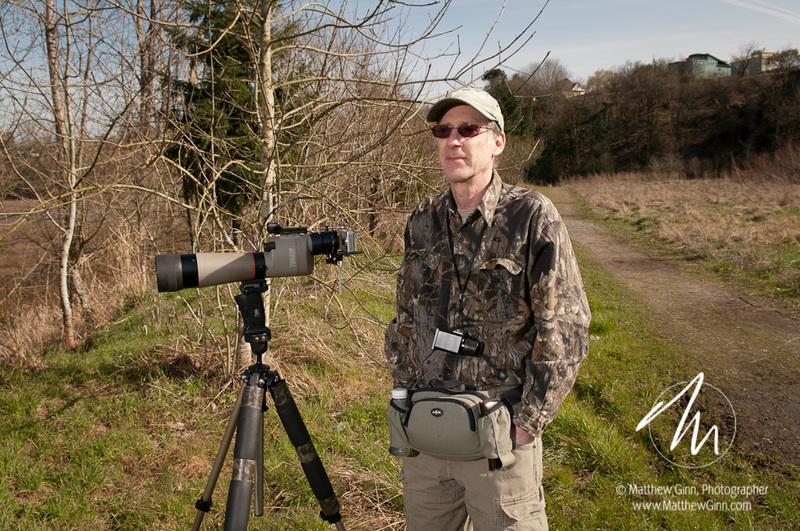 What is digiscoping, you ask? Good question. 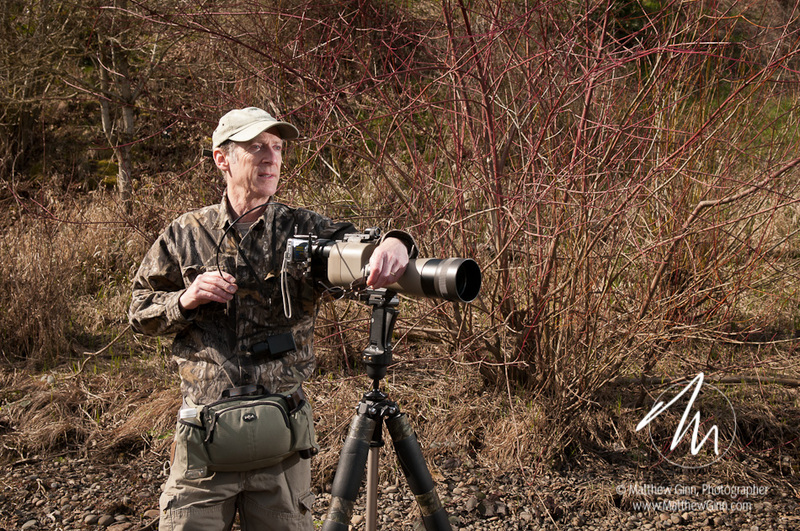 If you’ve ever seen serious birders in action, you’ll find them standing beside a tripod and peering through a long piece of glass. 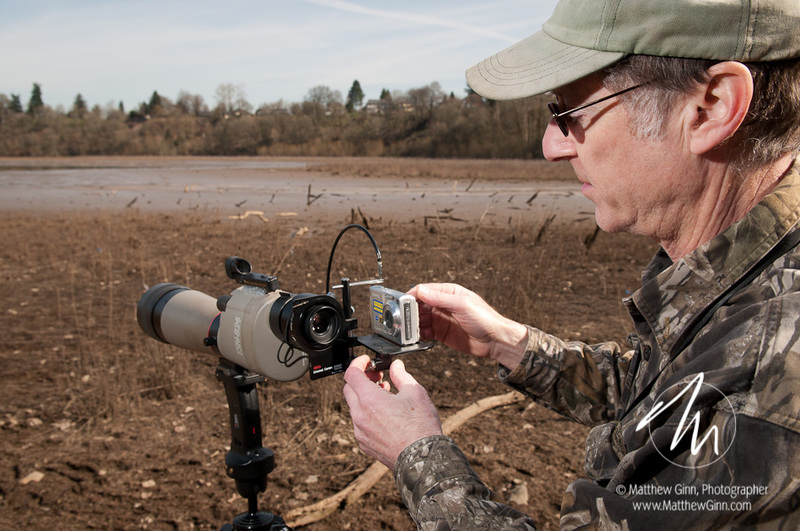 Digiscoping adds a digital camera to that glass (the scope) to record the view—at significantly less cost and weight than the equivalent photographic equipment. Steve’s setup, for example, provides about the same magnification as a 1000-mm lens. For traditional photography, that lens alone would cost more than $10,000 and weigh in something north of 11 pounds. By comparison, you could probably replicate Steve’s complete kit, including the tripod, for less than 1/3 of that. The scope weighs just over 3 pounds. I met Steve at Oaks Bottom Wildlife Refuge in SE Portland on a gorgeous day in early March. 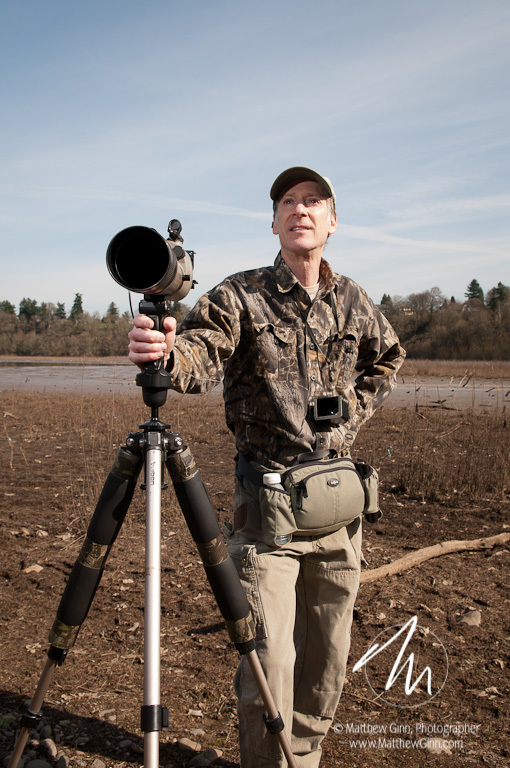 He identified green-winged teals, blue herons and other water fowl a couple hundred yards away. I could barely see them. You can see some of Steve Berliner’s images here. Incidentally, though you might not recognize Steve’s name, you probably recognize the company he co-founded.